Using a waterproofing system on your deck early is going to save you all problems from moisture causing rot in the plywood or concrete. Yet, not everybody bothers to do waterproofing when first installing their deck. It’s not mandatory, but you shouldn’t wait too long to get it done. Considering you may live in a place with recurring inclement weather, you may have trouble getting waterproofing done. In order to properly apply this coating, applicators need dry weather. However, you need to know more about the usual environmental conditions needed for a successful application. If there’s any possibly of inclement weather, you’ll need to adhere to some considerations before work occurs. All of this is common courtesy when working with your waterproofing professional. They’ll work with you in figuring out the best solution if you live in a typically volatile climate. One of the worst conditions for waterproofing your deck is rain since you need dry conditions for the application to properly dry. This might become a problem if you live in an overly wet climate, which is why it’s better to do deck waterproofing during the summer if possible. Because waterproof coatings are sensitive to water, you’ll want to wait a few days after cleaning your deck so the wood or concrete is completely dry. Pay attention to the weather forecast to make sure it won’t rain several days after the application. If it does rain, it could potentially affect the coating. When using spray-on waterproofing coatings, you must make sure the polymers and elastomers bond with the substrate surface. To make this happen, you’ll need to make sure the substrate is clean. With this in mind, you have to make sure the surface where you’re doing the coating is free from dirt or mold. Another environmental condition to think over is the air temperature as you apply waterproofing coatings. The minimum temperature should never go below 45 to 50 degrees Fahrenheit. In a colder climate, this could lead to some problems while the coating dries. The curing process becomes problematic when you start to experience freezing temperatures. Likewise, you don’t want it too hot either. Flash drying could occur when it starts to exceed 90 degrees, including up to 110F. It’s all the more reason to find a time when you have moderate weather before doing the entire waterproofing process. Here you have the same situation as air temperature above, though sometimes with more dramatic effects based on surfaces being too hot or cold. One of the worst with surface temperature is (again) when flash drying occurs too fast. Bubbles and blisters could appear in your coating due to the above. Overall, to avoid extremely cold or hot surfaces, apply the waterproofing coating either in the morning or evenings. 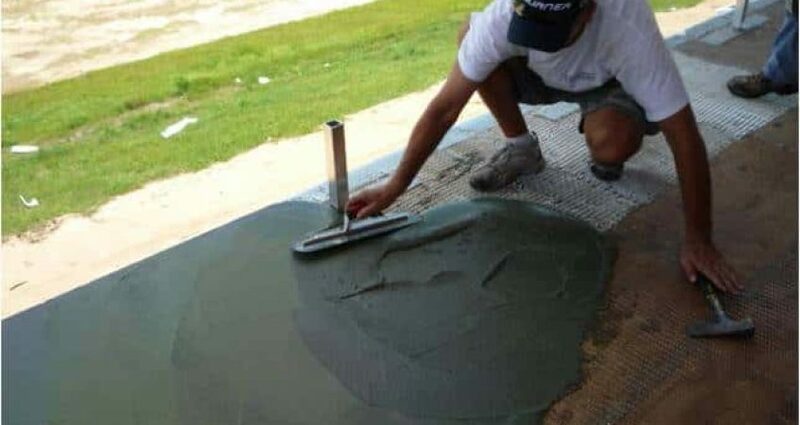 Now that you know wet surfaces are a huge problem for waterproofing, it can lead to some other problems you need to consider. For instance, water could get trapped between the film and substrate. It may require you or the workers to use a heating device to prevent this dampness in overly cold temperatures. At Pli-Dek Systems, we have unique waterproof coatings with easy application and quick drying. Contact us to find out more about our specialty coatings for the building industry.